At Camp Wise for children ages 2-5, our campers will experience an enriching, seven-week summer extravaganza without ever leaving the campus. Each of the seven weeks will be thematically programmed with age appropriate activities, water play and guest specialists under the care and supervision of our Early Childhood staff – the same teachers who know and love your child! In addition to the laughs, giggles and fun in the sun, a summer at Camp Wise offer your child a jump start into the 2018/19 school year. Summer is a wonderful time to move the children and all of their friends to their new classrooms and outdoor play areas to insure a loving and nurturing transition to their next year at Wise School. As you peruse the exciting plans for the seven weeks of summer (we require a minimum of three weeks), you can choose which weeks and schedule that best suits your family. For a sneak peek at the daily calendar of events and pricing information, please click the online registration link below! 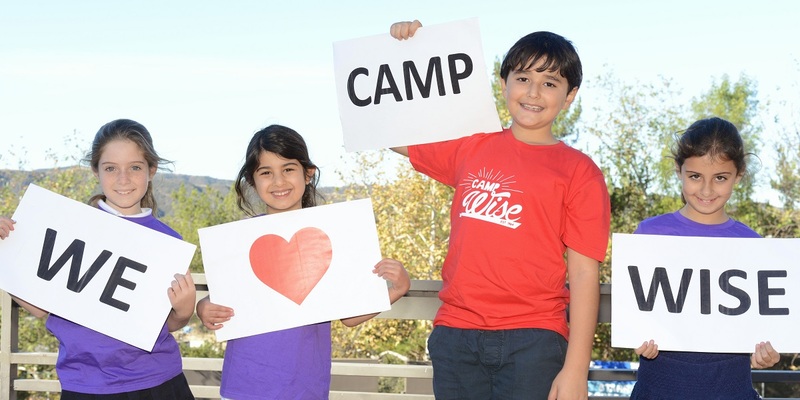 Monday, Wednesday, Friday – 9 a.m.-3 p.m.
Monday-Friday – 9 a.m.-3 p.m.
Camp Wise is a fun and active Jewish summer day camp at Wise School! DK-8th grade campers will enjoy swimming in our on-site pool, sports in our brand-new gym facility, and specialties such as art, science, cooking, music, and more. All campers get to enjoy special programs such as our 4th of July Carnival and Campchella Music Festival, weekly themes, Maccabia (DK/K-6th color wars), and Rockin’ Shabbat! • Pre-K Rookie Week almost full! • 7/8 Grade Session Full with waitlist! • Weeks 3 & 5 full for 5/6 Grade! • Most weeks for DK/Kindergarten are 3/4 almost full!